The passion, commitment and hard work United Way donors and volunteers show in Union County doesn’t go unnoticed. 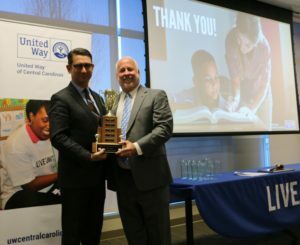 Continuing an annual tradition, United Way celebrated its top Union County supporters on March 27 with an appreciation breakfast and awards ceremony, hosted at Atrium Health Union’s Women and Children’s Center in Monroe. 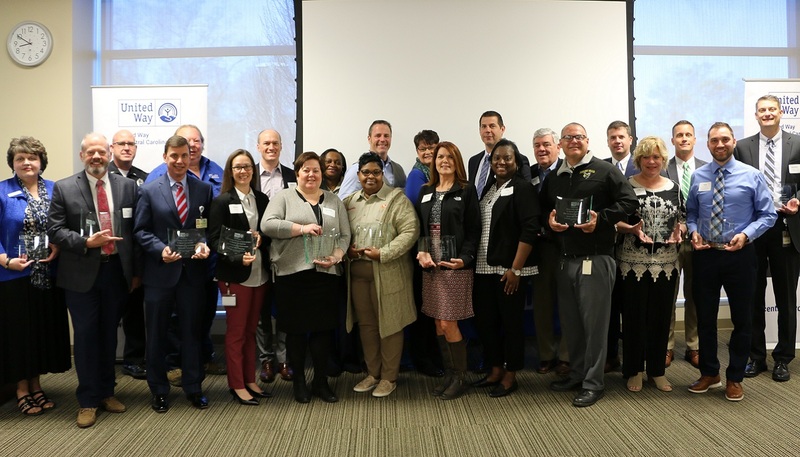 Jack Hargett, the 2018 Union County United Way Board chair, thanked companies, sponsors, campaign chairs and community impact volunteers for their dedication, leadership and support that make it possible for United Way to continue having a positive impact on the community. Wingate University also was honored with the 2018 Top Campaign trophy. The university has seen significant United Way campaign increases in the last three campaigns, with a 182 percent increase in total campaign dollars since 2015. Additionally, the appreciation breakfast included recognition of the annual Books and Brackets Reading Challenge held by Union County Public Schools. 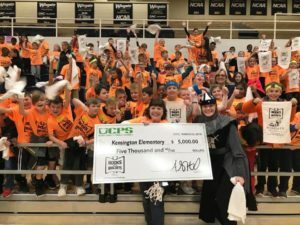 For several weeks, all third and fourth graders in the school system enjoy reading as many books as they can for the challenge, which is patterned after the March Madness basketball competition. Schools that advance to the Elite Eight are invited to a celebration at Wingate University, where the winning school is revealed. 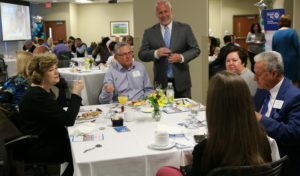 The appreciation breakfast also highlighted the 26th annual United Way Union County Day of Caring held on August 25, 2018. More than 1,100 volunteers served at 121 project sites, lending a hand at the homes of seniors and disabled residents and helping neighbors in need across Union County. View more photos from the annual appreciation breakfast here. We can do more together! See how you can give back to the community here.